The picture below shows a Rear YSS Z-Series Monoshock. Thousands of other top quality spares listed on our website at refreshingly low prices. 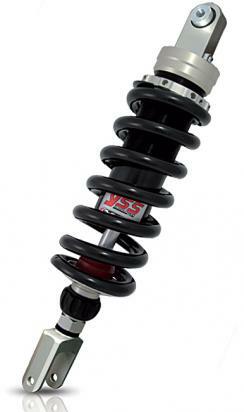 YSS Top Line Z shocks are developed to cope with the growing demand for high performance gas shocks. Teflon coated Sinter DU Bushes and heat treated hard chromed shafts are used to make this precision shock. All YSS shocks have ISO and ABE certification from German regulation authority TUV and come with a two year warranty.